The town of Palm Beach, home to the 'Winter White House,' has ordered all residents to be out by 5 p.m. today. 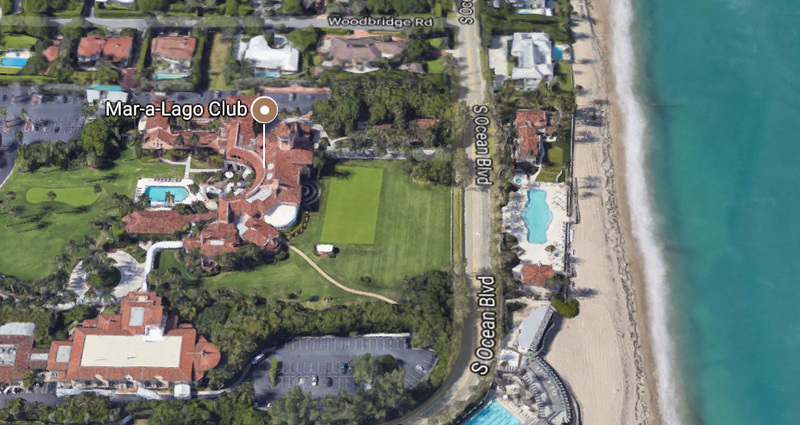 President Trump’s Mar-a-Lago Club – which the president has christened the “Winter White House” – was ordered to evacuate on Friday, along with the rest of ritzy Palm Beach island, as Hurricane Irma’s powerful winds and storm surge approach the Florida coast. The evacuation order went in place at 10 a.m. Friday, part of a series of orders that will require 155,000 people to leave their homes in Palm Beach County alone. The Palm Beach County evacuations cover low-lying areas along Lake Okeechobee, as well as a long swath of neighborhoods along the Intracoastal Waterway and the barrier islands off Florida’s East Coast. On those barrier islands, some of the country’s most expensive real estate sits on a narrow spit of land, with sometime just a few hundred feet of terra firma separating the Atlantic Ocean and the Intracoastal Waterway. The town of Palm Beach, home to Mar-a-Lago, sits on one of those narrow islands. On Friday, the town ordered all residents to be out by 5 p.m. The county said the first tropical storm-force winds were expected to arrive on the island on Saturday afternoon. U.S. Route 1 is a north-south highway on the mainland, about a mile from Mar-a-Lago. Mar-a-Lago is a members-only social club, with ballrooms, a few guest suites, and living quarters for Trump himself. The property itself stretches east-to-west across the island, touching both the ocean and the intracoastal waterway – its name means “Sea-to-Lake.” The estate itself has stood since the 1920s, when it was built by heiress Marjorie Merriweather Post. It has been through multiple hurricanes before, but Irma is an especially strong and dangerous storm, which could push an enormous amount of seawater onto land. Mar-a-Lago was already closed, even before Irma approached. It operates only during the winter social “season” in Palm Beach, which runs roughly from Halloween to Mother’s Day. Its staff during the offseason is relatively small: the club hires dozens of temporary foreign workers during the high season, to work as cooks, waiters and housekeepers. A large swath of the Florida coast, including Palm Beach island, is under a storm surge warning – meaning “there is a danger of life-threatening inundation from rising water moving inland,” according to the National Hurricane Center. Trump also owns three golf courses in south Florida: one in West Palm Beach, one in Jupiter, and one in Doral, west of Miami. None of the others is in a mandatory evacuation zone, at least as of Friday morning. Of those three clubs, the one in Jupiter might be the most vulnerable to a storm surge. 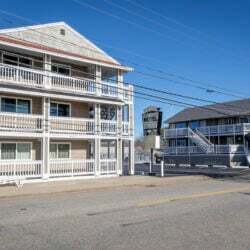 It sits about two miles inland from the coast, but only a few thousand feet from a large creek. Hallie Jackson, of NBC News, reported Friday that all three of those Trump golf clubs were already closed. 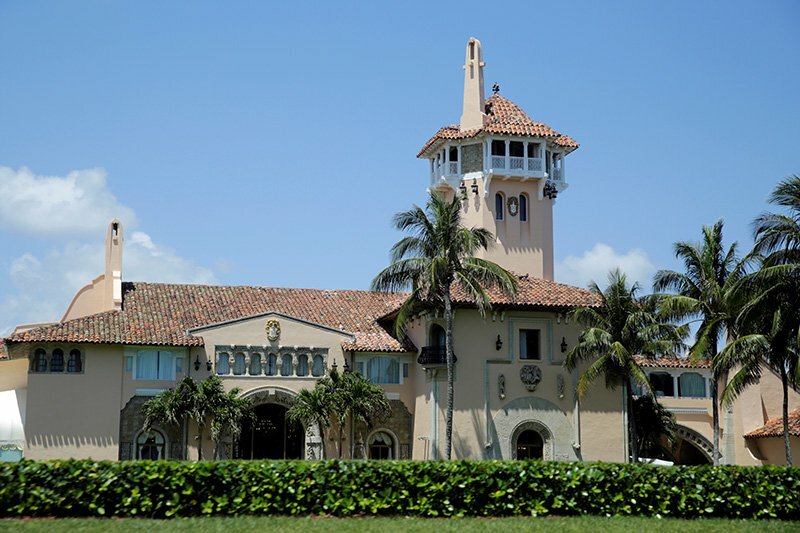 The Doral club also includes a resort open to the public: The Trump Organization was urging anyone with reservations there to “make alternative lodging arrangements,” Jackson reported. The Trump Organization did not immediately respond to a request for comment from The Washington Post about its storm preparations.